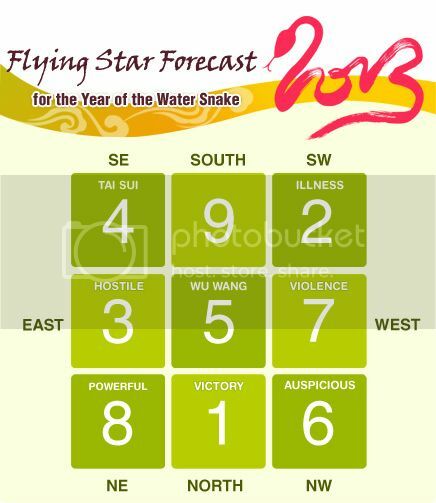 The 2013 Flying Star Chart is especially special because the stars (or numbers) are back to their original positions in the Lo Shu Square. This happens every 9 years, the last time being the year 2004. This phenomenon may mean that the positive stars will vibrate more strongly, but it also means that the negative stars will take on more power! Interestingly, the Mayan calendar also ended its cycle around this time, ie. December 22nd last year. Another interesting thing is that if you look at the Flying Star Chart closely, you will notice that every row (whether vertical, horizontal or diagonal) adds up to the number 15! Not only that, if you add up the numbers that sit across opposite ends, they arrive at magic sum of 10! Lillian Too said that this unique pattern is extremely auspicious! Even zodiac enemies can partner together to create fruitful results this year! As such, developing friendships and networking are particularly important in the year of the Water Snake. Before we go into the study of this Flying Star Chart, make sure you know how to identify each of the 9 sectors in your home. Have your house plan ready. 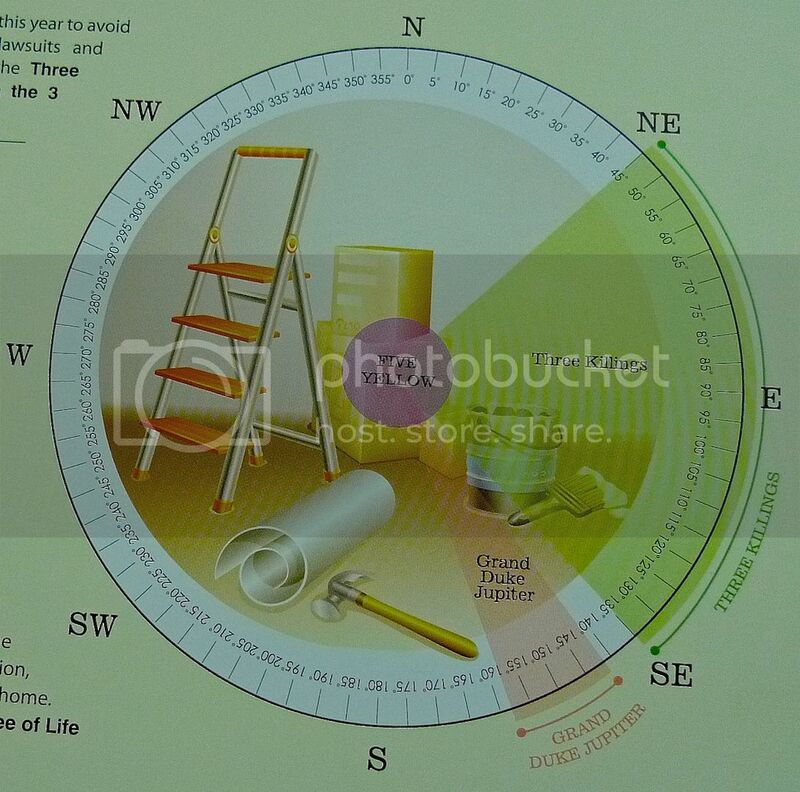 Use a compass and stand in the center of your house to identify the directions and all the sectors accurately. The first thing when we study the Flying Star Chart is to take note of all the sectors with the negative stars and find ways to dissolve the effects of these bad stars. The negative stars are numbers 5, 3, 7 and 2. (Notice that 3, 5 and 7 are all in one row from East to West, making the East-West row bad this year. Houses with front door facing East or West are deemed unlucky this year). Let's start with the dreaded 'Wu Wang' or 5 Yellow - the most dangerous of all the negative stars. If you look at the 2013 Flying Star Chart, you can see that the 5 Yellow has flown (from the South East sector last year) into the Center, bringing danger to everyone in the household. 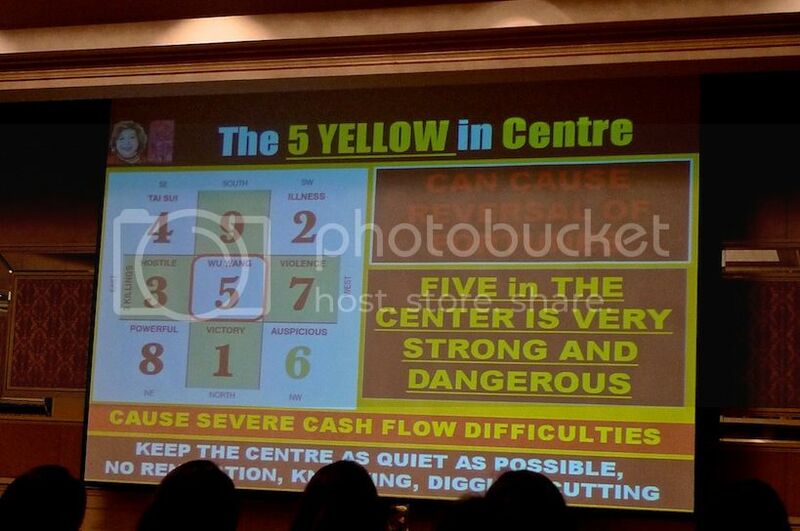 The 5 Yellow are known to cause reversal of fortunes, severe cashflow difficulties, accidents, severe illnesses and in serious cases, even death. The best way to deal with the 5 Yellow is to avoid using this sector and keep it as quiet as possible with no renovation, knocking or digging. However, since it's located in the center of the house this year, avoiding it will be a real challenge unless you have a room in the middle of your house which you can then lock up and not use throughout the year, effectively trapping the star. The next best thing of course, is to get Lillian Too's recommended cure - the Kalachakra Stupa. Place this stupa, which is filled with mantras, in the center of your house. It will help transform all bad energies into beneficial energies. Lillian Too also suggested getting a pair of camels (not real camels but her feng shui camels! haha!) to stabilize finances. Camel with a single hump protects your assests whilst camel with double humps protects your cash-flow so that you will have regular source of income. The Violence and Robbery Star (number 7) resides in the West this year. If your bedroom or your front door is located in the West sector, you run the risk of being robbed. Those born in the year of the Rooster will be affected by this star more than anyone else. Lillian Too suggested that Roosters carry the Night Safety Amulet for added safety. Placing the Blue Elephant and Rhinoceros Water Feature or the Anti-Burglary Plaque in the West sector will also help to prevent violence and robbery. The Illness Star (number 2) in the South West sector affects mothers and elderly ladies and especially those born in the year of the Sheep or Monkey. Elderly ladies and pregnant women are advised to move to another room. If this is not possible, then placing the Anrensui Wu Lou or the Wu Lou with crane and bamboo will keep illness at bay. Also, remove fire energy in this sector. This means no bright lights as lights can activate the illness star. The Hostile and Quarrelsome Star (number 3) flies into the East this year, bringing misunderstandings and even litigation. The eldest son will be mostly affected. Those born in the year of the Rabbit will also be adversely affected and Lillian Too recommended that they wear the Peace and Harmony Amulet. Placing the Red Flaming Wheel with Sword in the East also helps. However, if you do not want to buy any these products, you can place strong fire energy to remedy this hostile star. Or simply paint the wall red! If your front door faces East, then a good solution will be to paint the door red! Now that we have taken the defensive strategy and are done with the negative stars, it's time to enhance the good stars to attract all the good luck! The positive stars are numbers 8, 6, 1, 4 and 9. I almost bought this Wish Granting Tree! 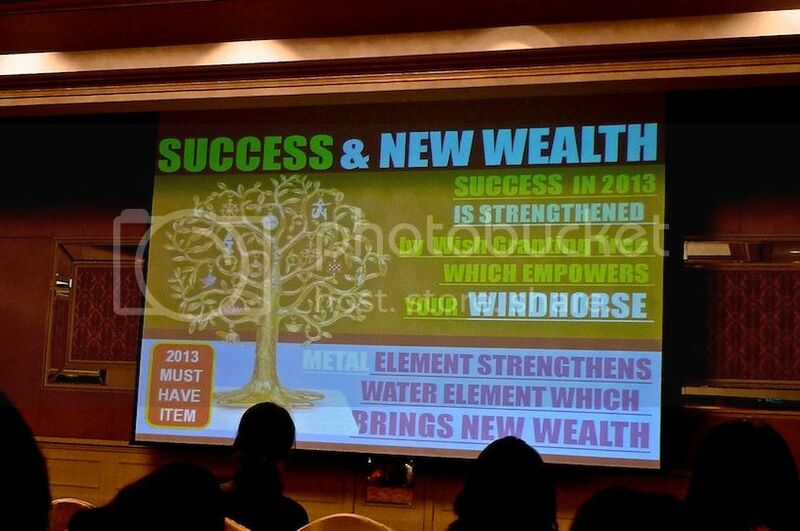 The Wealth Star (number 8) brings abundant wealth to the North East sector. It is most beneficial to the youngest son and to those born in the years of Ox and Tiger. Enhance this sector with a 8 Rod Windchime or Dzambhala water feature. But if you want to save money, you can also activate this Wealth Star simply by using the North East sector more often through activities and lots of movement! Bright lights and sounds will also help to activate, so keep this area busy! The Heaven Star (number 6) is located in the North West. It benefits the father and is excellent for leaders, tycoons and CEOs! It brings speculative and windfall luck. Those born in the years of Dog and Boar will benefit from this star. Display the Metal Windchimes or if you want to activate mentor luck (especially for young people), place the Precious Minister holding Windchime here. The Victory Star (number 1) flies to North this year. It brings victory and education success. It benefits the middle son and those born in the year of the Rat. Activate this sector with the Victory Warrior Flag. Lillian said you can also display the Malaysian flag or your country's flag especially if the country is doing well. Maybe Barisan Nasional should use this method to win the next election! LOL! The Romance and Scholastic Star (number 4) is located at the South East sector. It brings romance and good examination luck. It benefits the eldest daughter and those born in the years of Snake and Dragon. Enhance romance luck with a Double Happiness with Peony and study luck with a Crystal Globe. Lastly, the Completion Star (number 9) which brings happiness, recognition and good reputation flies into the South this year. It benefits the middle daughter and those born in the year of the Horse. Enhance the power of 9 with a 9 Rings Dragon Sword. You can also activate with plenty of bright lights! 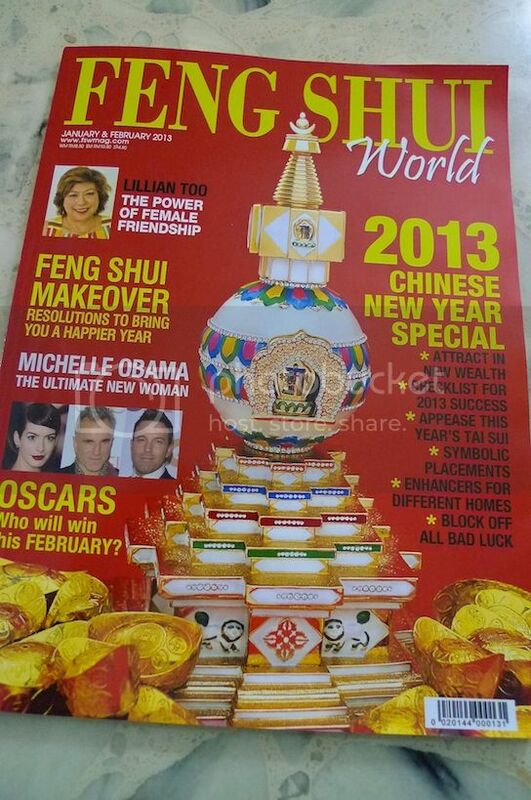 Do take note that the 2013 Flying Star Chart will only take effect starting from 4th February 2013. So make sure all the cures and enhancers are in place BEFORE this date. However, the energy are already moving in that direction, so some of you may have already started feeling the effects! 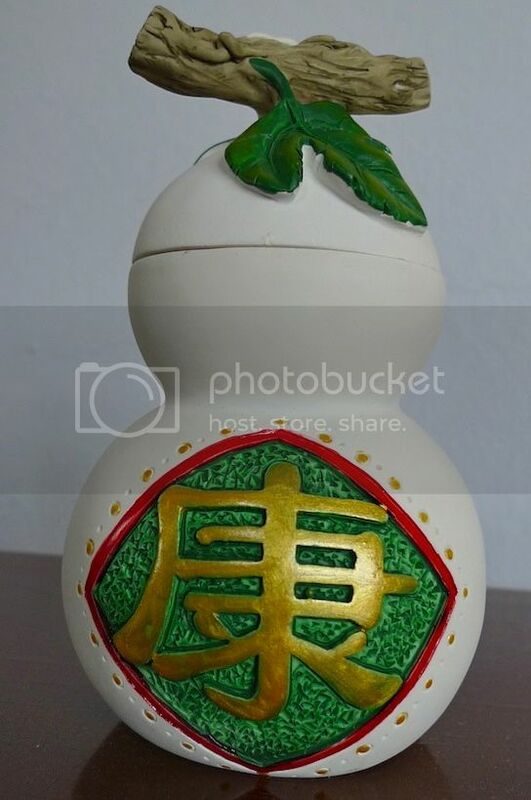 Note : All the feng shui cures and enhancers mentioned in this post can be purchased online from Lillian's Feng Shui Megamall. Besides the 4 negative sectors shown in the Flying Chart, there are two more very important afflictions that must be addressed. The first is Three Killings and the second is The Grand Duke Jupiter (or Tai Sui). The Three Killings is located in the East this year. Do not renovate, dig or cut here or you will suffer from loss of wealth, accidents, and illnesses. Always sit facing the Three Killings and never sit with the Three Killings behind you. This means you must make sure that all the chairs in your house or office do not face the West! This is because sitting facing West means the Three Killings is behind you! You can also suppress this affliction by placing the 3 Celestial Guardians in the East sector of your home or office. The Grand Duke Jupiter resides in the South East this year, or more accurately South East 3 (ie. between 142.5 degree to 157.5 degree). Do not disturb this sector by digging, chopping or doing any kind of renovation. Doing so will bring severe bad luck, loss of wealth, and illness. Also DO NOT sit facing the Grand Duke! This means in 2013, you must never sit facing South East 3! Instead sit with the Grand Duke behind you and you will gain the upper hand in all your negotiations! Those born in the year of Snake, Boar, Monkey and Tiger are advised to carry the Tai Sui Amulet for protection. Lillian Too also mentioned about The 24 Mountains and how it affects all the 12 animal signs. I find it too tedious and long to share the information in this post. As such, if you are interested to know about each of the 12 animal sign and their luck for this year, perhaps you may want to read HERE.